Drones are taking life-saving in Scotland to pioneering new heights. For the newly-formed Search and Rescue Aerial Association Scotland (SARAA-Scotland) is to use the remote-controlled craft to save people who are lost, missing or injured. It is thought to be one of the most significant developments in mountain rescue since search dogs were introduced in the 1960s. The Association – which became a charity in July and is based in the Borders – will use the drones to find people in the most inaccessible places. To do that the Association’s volunteers will undergo special training to fly the drones by York-based Flyby Technology (https://www.flybydronetraining.co.uk) which only has instructors who are ex-military or are civilian aviation instructors. They are led by former RAF fighter pilot and instructor Jon Parker and run courses nationwide including in Edinburgh and Aberdeen. In 2017 and into 2018 Scottish Mountain Rescue carried out a feasibility study to look at how drones – which are also known as Small Unmanned Aircraft or SUAs for short – could help in search and rescue operations. There was a clear need for them and SARAA-Scotland now has one drone that is operational and hopes to have another five in action by early next year. A top quality drone would cost £30,000 including a thermal camera and the latest high technology zoom camera – but at the moment SARAA-Scotland is aiming to get more of the middle-cost drones to cover as much of the country as they can and the one they are using now was bought for £3,500. The team will usually have to take their drones to inaccessible places which would mean carrying them quite long distances on foot over difficult terrain. 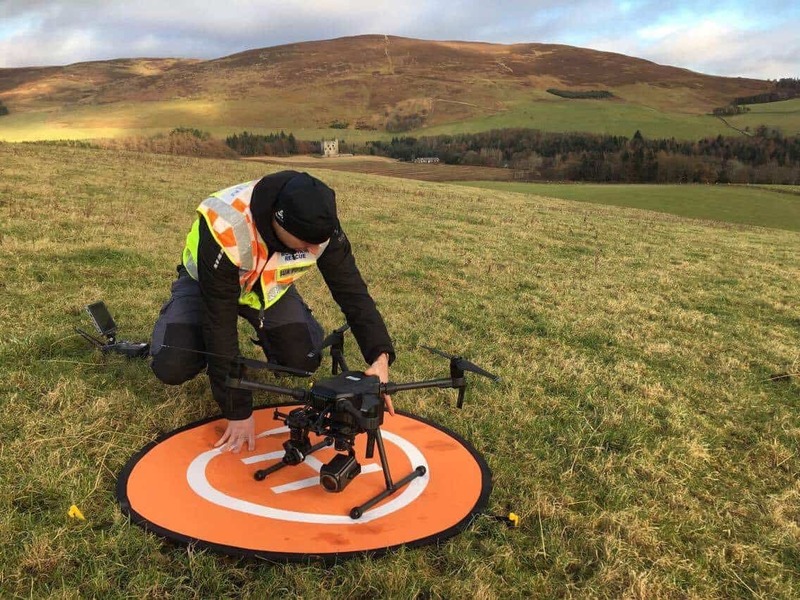 The team’s aim is to eventually provide cover for most of Scotland and SARAA-Scotland has been formerly recognised by Police Scotland because their high quality training by Flyby Technology shows them to be safe and competent when it comes to flying drones. SARAA-Scotland, which is affiliated to Scottish Mountain Rescue, has now put in grant applications in a bid to buy more drones but it is always on the lookout for businesses or individuals to sponsor them. Its chairman, Dave Wright, said: “We will be recruiting people to fly the drones who are already mountain rescue team members – people with a search and rescue background who can look after themselves out there. “It’s now a case of getting the funds to buy the kit we need, distribute it and train the members and at the start of next year it’s hoped we will have six pilots being trained by Flyby.” Tom, who has done 270 drone flights together lasting 45 hours, has already used a drone in a search for a vulnerable missing person in the Borders area of Scotland and discovered just how vital they will be in the future – not just searching but also enhancing the safety of search and rescue team members. He said: “During the Borders search I was tasked to cover 3km along a river – which is a huge area. One side was a steep banking which was a high risk area for searchers on the ground but the drone could get a good look right along it. The terrain would have been very difficult to search on foot.